Stephanie Bishop, a graduate student in chemistry at UBC Okanagan, holds a sample from Lake Winnipeg. A new study from UBC’s Okanagan campus has found that BMAA—a toxin linked to several neurodegenerative diseases—is present in high concentrations during cyanobacteria blooms in Lake Winnipeg. Murch says BMAA has been associated with everything from Alzheimer’s to ALS and can have serious public health implications if it permeates food and water supplies. Murch and Bishop analyzed samples collected in July and September of 2016 and found that BMAA was present in highest concentrations in the areas of the bloom that are impacted by pollution and farming. 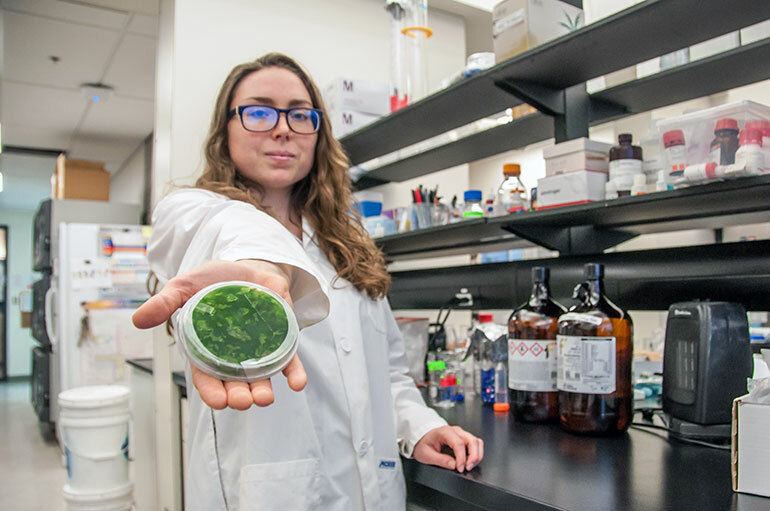 She warns that cyanobacterial blooms are not isolated to Lake Winnipeg and that she would expect to see similar results in other freshwater lakes. 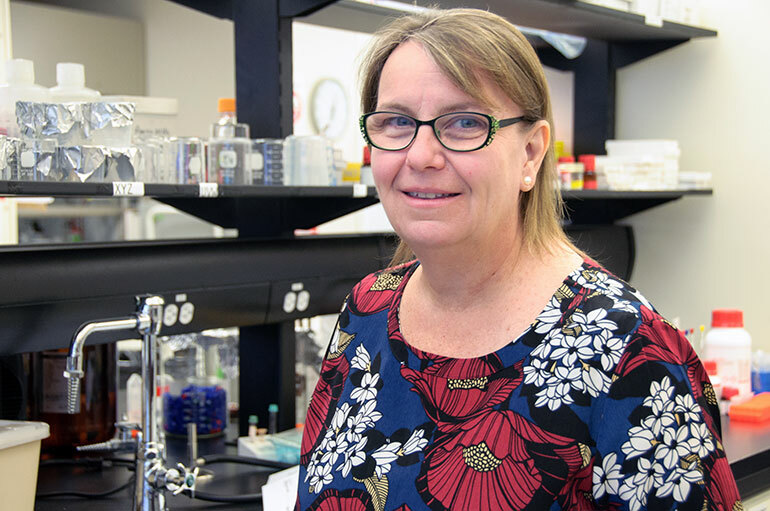 Susan Much is an associate professor of chemistry at UBC Okanagan.